It is a thrill to welcome Alexander Jean to Jake’s Take. 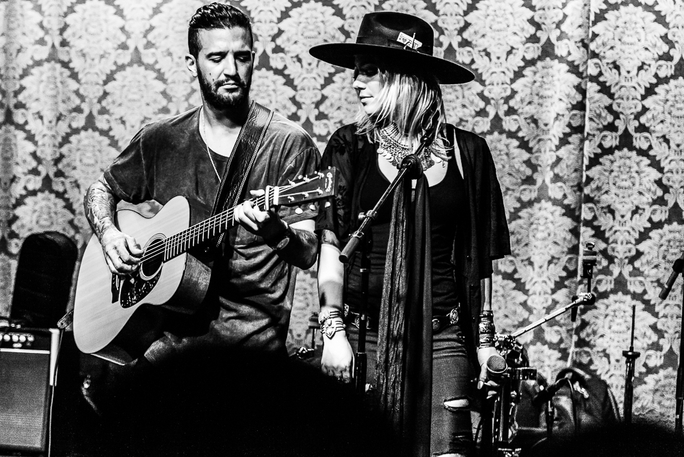 Formed in 2012, Alexander Jean is composed of acclaimed singer-songwriters BC Jean and Mark Ballas. Both of these incredible musicians achieved amazing accomplishments in their solo careers. BC Jean co-wrote Beyonce’s “If If Were A Boy,” a song that charted at number one on 12 international music charts. Meanwhile, the longtime Dancing with the Stars professional partner won MTV’s Freshman Five in 2011 and its Artist to Watch award. His 2014 debut single, “Get My Name,” made it to the Top 25 on iTunes’ Pop Charts, while its music video debuted at number one on multiple MTV platforms. Together as Alexander Jean, BC and Mark put on successful concerts in the Los Angeles club scene with appearances in No Name, Hotel Café, The Viper Room and Room 5. The duo was also selected to perform at the Third Annual L.A. GRAMMY Showcase at the Fonda Theatre. Also, two of Alexander Jean’s singles: “Roses and Violets” and “Thief” blazed through the iTunes Singer-Songwriter charts and peaked at #1 and #5 respectively. “Roses and Violets” also peaked at #6 on iTunes’ Overall Music Chart. In this edition of A Conversation, the duo shared the songwriting process, teased their upcoming nationwide tour and revealed their dream collaborators. Jacob Elyachar: Could you please describe your origin story to my readers? Mark Ballas: We met at a living room concert event that a mutual friend hosted. Both of us were on the same bill. When I was first invited, I thought a maximum of 15 people might be there. But, I was surprised to find that the living room concert was a full on event with 200 people in attendance. I attended the event with my cousin, and as we arrived, BC was already on stage, and I could not physically see her. After I had heard her voice, I told my cousin: “Wow! That is some serious talent and whoever just sang had some original vocals.” In my mind, I imagined that the person that sang looked like Janis Joplin. Once her set was over, the audience moved into the kitchen area to socialize. As BC started to tear down and I began to set up, I saw her, and I thought “Wow! There is no way that the voice came out of her.” I performed next, and BC sat in the audience and watched my set. After I had completed my set, I introduced myself, and we exchanged numbers. BC gave me the “industry pitch” for a minute and told me that we should have drinks together and record together. After blowing me off for a few months, we were able to reconnect and hung out for 5 hours, and now we have been dating for three years. BC Jean: Mark called me one day and suggested that we should sit down with our guitars and a bottle of wine and write a song from the heart. He also added that we should not put ourselves in a box, and we wrote “Head High,” which is the title track to our EP. It was a very special and unique record. We went into the studio to record it. Some of our friends came by and helped us record the song. All the recording elements were raw, and once we listened to the completed track, we realized that we should be recording music together. JE: How has music played a defining role in your lives? BCJ: Music is not just a defining role; it has played a primary role in my life. If I did not have music in my life, a part of me would be empty. I was born into a musical family. My grandparents were musicians and actors. My grandma sang opera, while my grandfather was a virtuoso who played every single musical instrument you could imagine. They appeared on the very first black and white TV show and worked with Perry Como. I would go to Woodstock, New York to visit them and that is where I learned how to play piano. Later, I began to write poetry, and the poetry transformed into stories, and that turned into songwriting. I began to write my songs when I was 12-years-old. Music has been the main plot line in my life, and it ties me to who I am as a person. MB: I also grew up in a musical household. My paternal grandmother was a very famous Flamenco dancer, and both my father and my uncle played Flamenco guitar. She was an incredible dancer and a castanet player. I grew up listening to this genre and style of music. I picked up the guitar when I was nine, and I started with Flamenco and classical styling of guitar. Later, I got into rock music, and the first album that I bought with my own money was Nirvana’s Nevermind. After listening to the album, I wanted to get into electric guitar and wanted to make that kind of music. In addition to being influenced by Kurt Cobain and Jimi Hendrix, both of my parents were dancers, so I was constantly around music whether it be Flamenco, pop, rock, the blues, and Latin. I always knew from a young age that I wanted my life to be involved and around music. It has helped me get through my day, and it keeps me grounded. BCJ: Music also keeps us alive, too! As a little kid, I remember going to a concert, and I always loved feeling the adrenaline and the crazy butterfly nerves and I was not even going on stage, I was in the audience. There was something alive inside of me; it was a feeling that I wanted to continue to have for forever! BCJ: When we work together, Mark typically starts the process. He has this incredible drive for wanting to work and practice. He is always on his guitar and is constantly coming up with cool riffs. Technically, almost every song starts out with a cool guitar riff, and I would sing lyrics on top of the riff. After we have our lyrics, we would look at the best lines and go from there. We let our songwriting process be natural. All of our songs are very heartfelt and honest. Both of us bring something different to the table, which balances us out who we are as a duo. MB: As we continue the songwriting process, we would expand our concept by throwing around lyrics or working on melodies. We rarely use pro tools or studio sessions to compose; we like to write at our home. BC and I play the songs out a couple of times, so the song lives inside us, and we are very familiar with it before we go and record it at a studio. JE: What were some of the challenges that you faced in the creation process of “Head High”? How did you overcome them? BCJ: I feel that this was the easiest project for us to work on. The only challenge that we had was trusting our instincts. This project was the first time that we self-produced our material. The only people that worked on this EP was our engineer, Tito, and us! We did not have a label to bounce ideas off of and to ask questions whenever we were stuck. Nor did we have another producer who had a tremendous resume that gave us tips. We had to go with our gut. I think sometimes that’s difficult because you become so jaded being in this industry sharing everyone’s opinions constantly and trying to appease the music executives, radio hosts, the fans and ourselves. This time, we decided to follow our heart and make a record that best reflects our feelings, and I hope people will feel the same. JE: This summer, Alexander Jean will travel across the country for your 2016 summer tour. What are you looking forward to the most about this tour? MB: I enjoy touring, and I love being on the road playing a show every night. We cannot wait to share our CD and spreading the word about our music. We did not want to rely on either of our solo accomplishments; we wanted to let the music speak for itself. Our first single, “Roses & Violets,” caught momentum on its own, but it was never the sole reason people were listening to us. We have worked on the Head High EP for quite a while, and we cannot wait for it to be released on June 3! The recordings sound beautiful, and we hope it translates to our fans when we see them this summer. JE: If you had the opportunity to collaborate with any singers, songwriters and producers of your choice, who would it be? BCJ: Several people immediately come to mind. I have always wanted work with Linda Perry and Sia. Both of these ladies do what I do, but I look up to both of them, and I think I can learn so much from these women. I also wanted to work with Rick Rubin as well. MB: Producer wise, Rick Rubin is definitely at the top of our list of dream collaborators. He’s awesome. BCJ: I previously worked with Max Martin, and I would love to work with him again. MB: I would also like to write a song with Ed Sheeran. We would be an excellent match! Both of us are from England, play acoustic guitar and I think that both of us have the same taste in music. JE: If you had the chance to meet with aspiring musicians who are looking into a career in the music industry, what advice would you share with them? MB: You cannot please everybody. This lesson does not just apply to the music world, but in life as well. One lesson that my grandfather taught me was “Taste is not an experimental subject.” If you believe in what you are doing, as long as your collaborators believe in you and you 1000-percent believe in the product that you are putting out, then you are onto something. It is always great to receive advice and get other people’s opinions, but ultimately…the only opinion that matters is yours! It is easy to get swept up and focus on copying someone else’s sound. If we did that, no one would be doing their own thing! While the public praises artists for their individuality, corporate music executives hate the idea of originality because they do not want to take a risk. However, without risk, there is no reward. I encourage people to be true to themselves and enjoy what you do. BCJ: You also have to be comfortable with hearing the word: “No.” We hear the word every day! Just like Mark said if you stay true to who you are and grow a sturdy spine. If you listen to other people’s opinions and start imitating another artist, then you are never going to catch on. If you continue to stay your true self, then eventually the world will catch up to you and then maybe, you will be the right person at the right time. Believe in timing, hard work and with a little bit of luck, the “No’s” will turn into the “Yes” that you have been looking for. 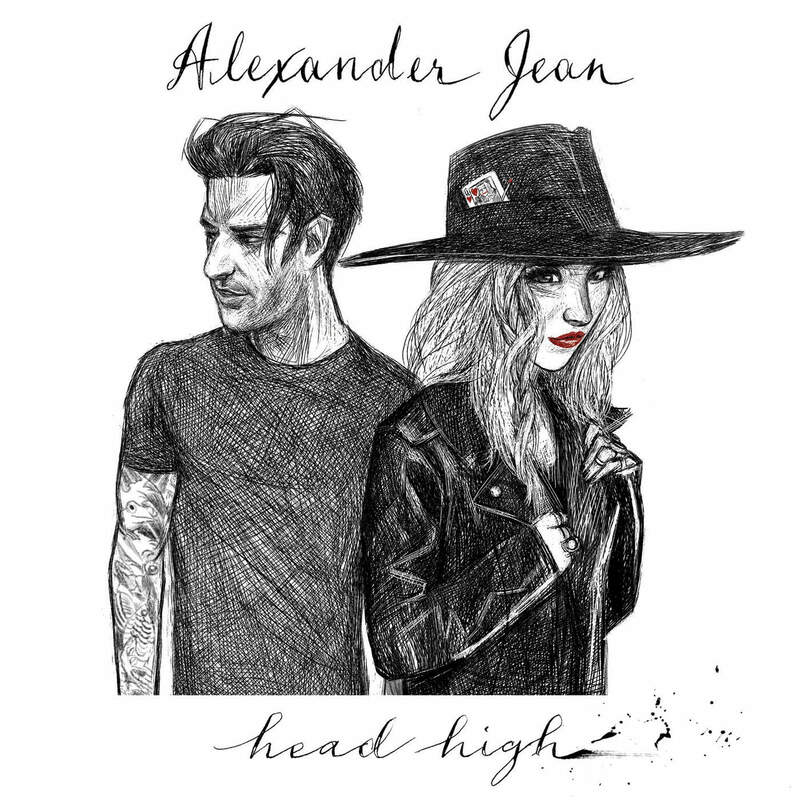 Alexander Jean’s EP, “Head High,” is scheduled to drop tomorrow! For more information about Alexander Jean including their upcoming summer tour, visit their website. You can also follow their adventures on social media by visiting their Instagram & Twitter channels!